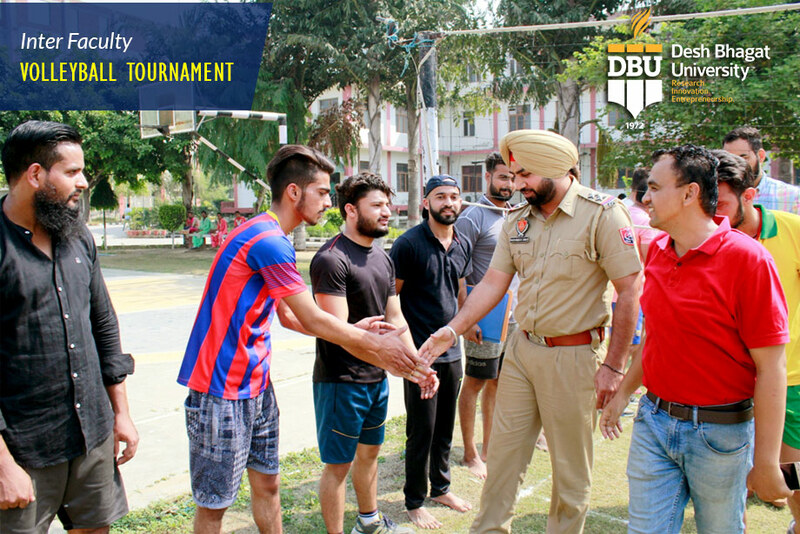 Among top private universities in Punjab, Desh Bhagat University’s Sports Department organised an Inter Faculty Volleyball Tournament for Men and Women. 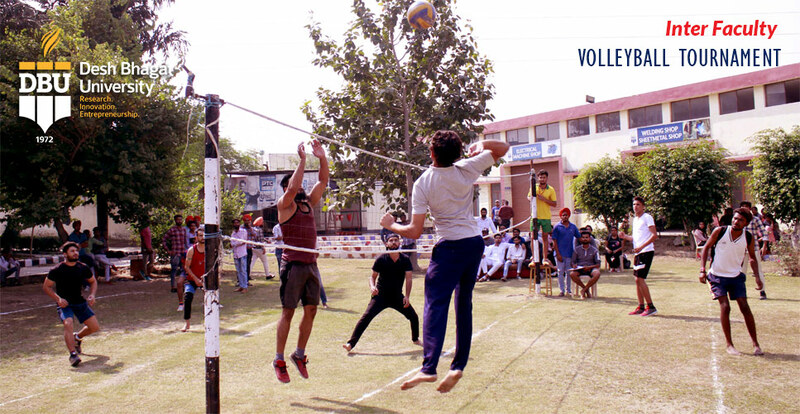 A total of 12 teams including 8 teams of boys and 4 teams of girls from different faculties participated in it. The event was inaugurated by Sub Inspector Harwinder Singh, (International Medallist, Boxing). He inspired the students and all present to play games regularly to stay healthy and keep fit. The teams played their fixtures and showed their sports talent in league matches. The teams played well and fought hard to enter in semi-finals. After League matches, the Semi Final matches were particularly thrilling. In Finals, the battle for Men’s and Women titles was in between Faculty of Ayurveda & Research and Faculty of Education. Both the finals were very interesting and breath-taking. All team players played their best and the spectators were applauding at each move of the players. In Final of Men’s category: Faculty of Ayurveda & Research beat Faculty of Education by 25-22, while in Women title Faculty of Education beat Faculty of Ayurveda & Research by 21-16 and lifted the trophy. 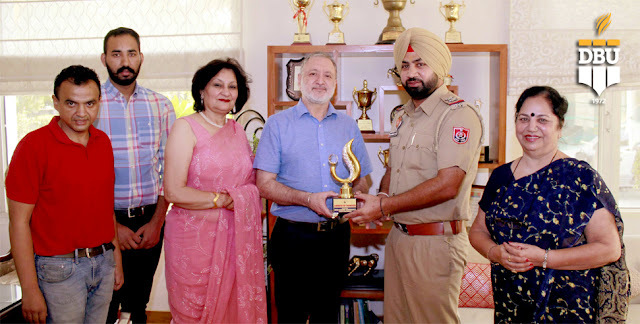 Chancellor Dr. Zora Singh and Pro Chancellor Dr. Tajinder Kaur presided over the Prize Distribution function and appreciated all players for their excellent performance. Vice-Chancellor Dr. Virinder Singh congratulated the winning teams and best players for remarkable play. 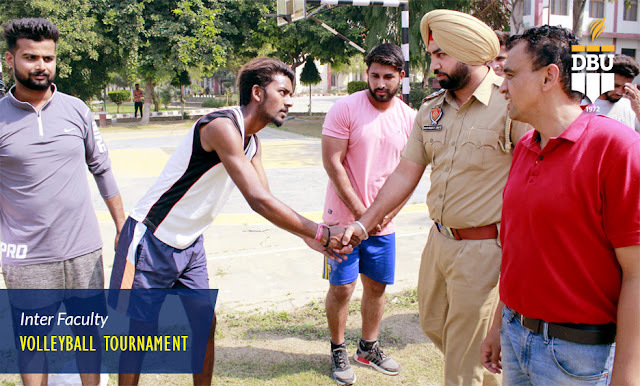 The tournament was held under the supervision of Assistant Director Sports and Coach Nandan Singh.